Fifty-five (55) is an interesting number. Not so interesting as to have its own coinage, like the 50-cent piece of yore, but it does have some distinguishing features. Waaaaay back in the 70s there was a speed limit campaign. 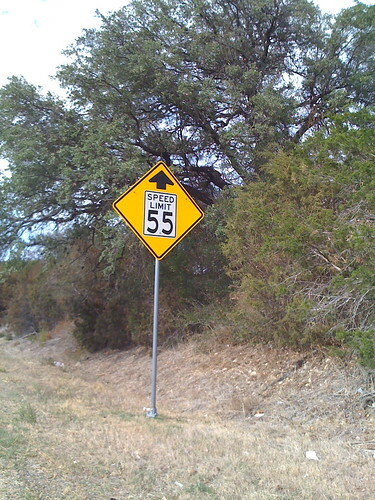 It was something like Stay Alive, Drive 55! Of course that was also during the fuel shortage and we were told that driving 55 mph maximized fuel efficiency. I guess with the fuel efficient cars we now have, 70 and even 80 mph doesn’t make much difference, as evidenced by some of the speed limits we recently saw on our road trip. Then there are the 55 year-old senior retirement residences. My husband and I had a company in Oakland, California. We used to make the incredibly UN-scenic, but eventful, commute up 880, aka the Nimitz Freeway (Yes, the very same Nimitz born in Fredericksburg, Texas and WWII, Admiral of the Pacific Fleet fame). About once a week I’d comment about on the 55 senior retirement residences. They seemed more like assisted living places! Well, today I am 55! Yikes! How did I get here! I remember when my grandparents were 55! Now I’m there! I wonder how my parents feel about having a daughter that old?!? But age number aside, there are some pretty wonderful things about this stage of my life. First, I am healthy. I feel good, I’m mobile, I’ve gone an entire year without a surgery, I go to to the gym six days a week. I’m an obituary reader and, needless to say, there are lots of people my age and younger who are no longer present this side of eternity. My family is healthy and we’ve recently spent some wonderful time together. Having four generations of my family, all of us, walk together in the Sacramento AIDS Walk was special; my parents, my siblings (including my sister-in-law and my nieces), my sons (including my daughter-in-law), and my granddaughters! We are probably closer now as a family than any other time in any of our lives. Awesome-ness! I am blessed to have an awesome husband and we have a wonderful life together. We are the rare couple that can actually work together! Our complementary expertise and experience allows us to leverage our interests and knowledge in building our company, Cloudtippers. I’ve reached the age where life experience and perspective make life manageable. It’s that eternal scheme perspective. Life can be intense and challenging, but with a spiritual perspective, hope, and humor it can also be quite navigable and fulfilling. I have two things to share with you. First is Isaiah 55. I love this chapter in the Old Testament because it’s an invitation to abundant life. The second is the cello ensemble Apocalyptica’s version of Metallica’s Nothing Else Matters. Turn up your speakers and enjoy! For as the rain and the snow come down from heaven, and do not return there until they have watered the earth, making it bring forth and sprout, giving seed to the sower and bread to the eater, so shall my word be that goes out from my mouth; it shall not return to me empty, but it shall accomplish that which I purpose, and succeed in the thing for which I sent it. For you shall go out in joy, and be led back in peace; the mountains and the hills before you shall burst into song, and all the trees of the field shall clap their hands. Instead of the thorn shall come up the cypress; instead of the brier shall come up the myrtle; and it shall be to the Lord for a memorial, for an everlasting sign that shall not be cut off. Email subscribers: If you want to listen to the song (I’m sure you do), click here and scroll to the bottom of the blog post.